The 2nd ADAC charity duathlon took place today on a wet and windy morning at Newbie. 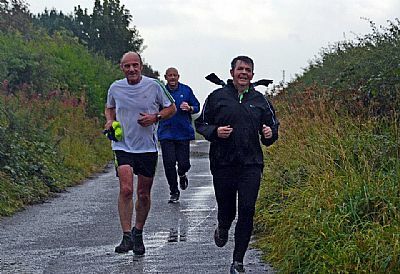 The wet weather which had been predicted arrived overnight and was heavy at times but did not dampen the spirits of the 26 runners and riders who set off on their laps of the shore road. 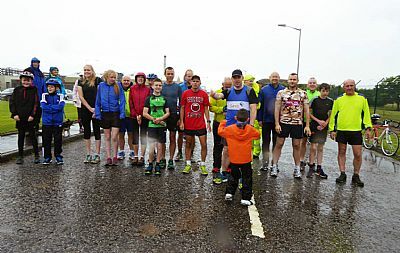 Our picture below shows runners getting their final instructions from Archie (Grant and Lisa's son) before they set off. Some fine competition was enjoyed by athletes of all ages and many of our athletes teamed up to form interesting and unusual names such as the "Jammy dodgers " , "Nae chance " and "Team Pringle " albeit with an adopted Johnstone in their team ! The course consited of a one lap run , 3 lap cycle and finally another one lap run of an approximate 2 mile circuit. The overnight rain made conditions on the shoreline quite tricky but athletes managed to cope with all that mother nature threw at them. The competition was friendly but fierce as last year's winners Euan and Joe teamed up again and tried to retain the title. The competition was open to guests as well as ADAC members and guest Sandy Currie fought off last year's champions to take the title. 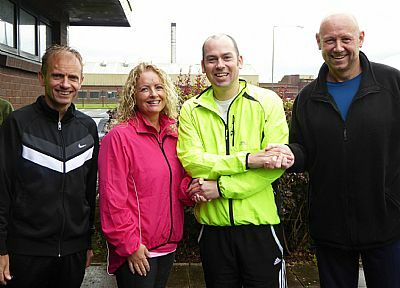 Pictured below are (left to right) Euan Duff (runner-up) , Emma Kerr (1st female) , Sandy Currie (1st overall) ,Joe Boardman (runner-up) , Michael Kerr (1st Junior). 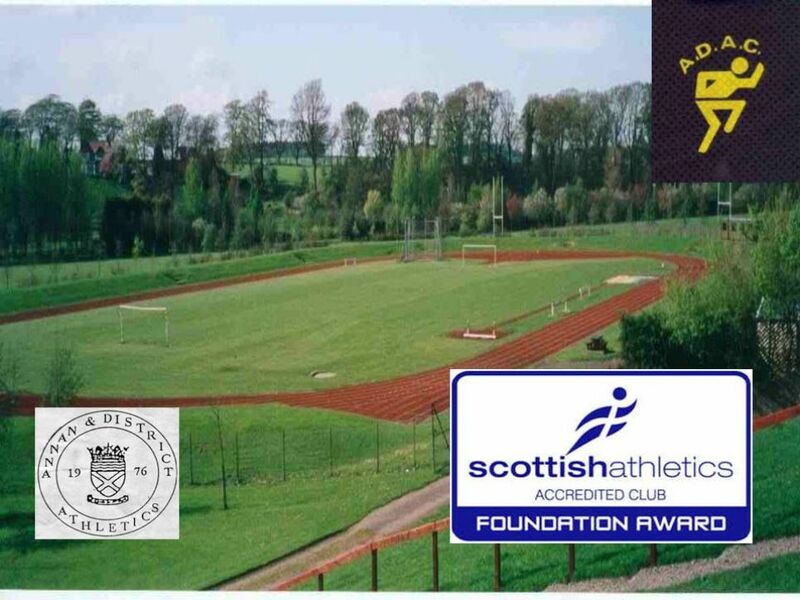 This year's adopted charity was Dumfries and Galloway SANDS - a charity providing support for bereaved parents and their families which sadly one of our athletes had to deal within the last year. The club was proud to present the sum of £245 to Grant Seaton who thanked the club and spoke to everyone about the charity and how it had helped him and his family and explained how the money will be put to use at Cresswell Maternity unit in Dumfries. We wish him and his family the very best for the future and indeed the Great North Run in which he will be competing in on Sunday. Results of today's event can be found HERE. Our picture below show Grant with some of the organisers of the event. ADAC once again has proved to be a very special club and many thanks go to everyone who made this day happen - from bakers to marshalls , time-keepers to photographers it would not have happened without the generosity of all of those involved. Our final and best picture of the day is below - one of our athletes decided that as conditions were windy he would attempt to take off on route. We still don't know if he has landed yet but flight RM001 was cleared for take off at 11:26 ! We hope to make the ADAC Duathlon an annual event so here's looking forward to 2016 ! Let's hope flight RM001 will have landed by then !